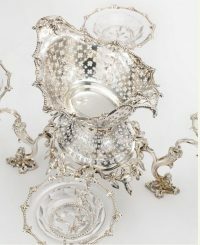 GEORGIAN STERLING SILVER EPERGNE: Early George III, Sterling Silver & Cut Glass Epergne By Thomas Pitts, London 1760. 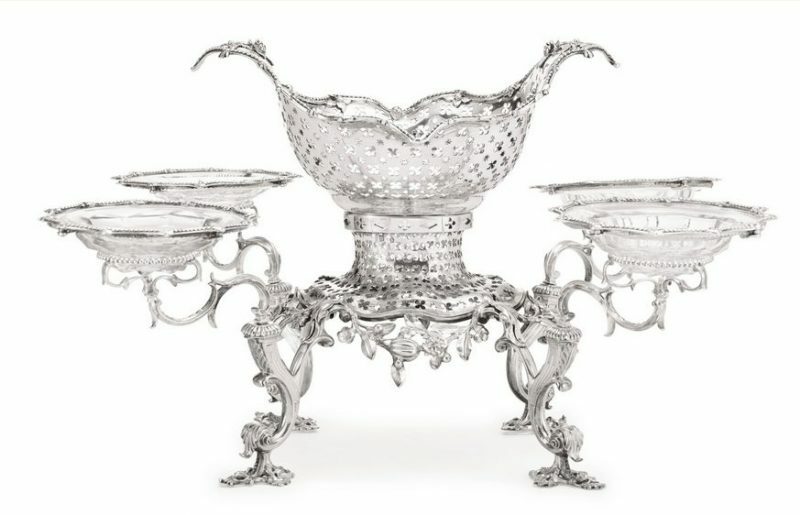 Raised on four scroll supports on openwork feet, base and detachable central basket pierced with quatrefoils and stars, openwork apron of flowers and foliage, four detachable scroll branches topped with silver-mounted cut-glass baskets fully marked. 18 1/2" x 18 1/2" x 12" high.